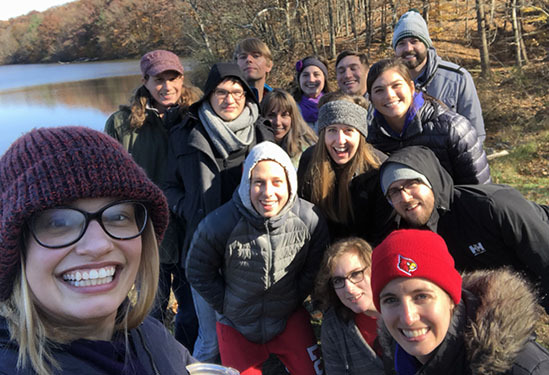 This past weekend, the Young Adults of Highland Baptist Church retreated to Camp Pyoca, just south of Brown County, Indiana. The retreat was titled “Belong: Knowing Self, Finding Community” and was inspired by Brene Brown’s book Braving The Wilderness. Together, we vulnerably explored what it means to belong, what keeps us from belonging, and how to release ourselves from them. We shared fellowship over bonfire smores, board games, 9-square, and cold walks by the lake. We affirmed and confirmed our love and friendship to one another, and also celebrated communion and worship.